Man comes to the door - I say, "For whom are you looking?" He says, "Your wife", I say, "She's busy in the kitchen cookin'." Poor boy - where you been? Poor boy - never say die. Othello told Desdemona, "I'm cold, cover me with a blanket. She says, "I gave it to you, you drank it." "PO' BOY" had only one stage appearance in 2001, (the year it was recorded; and probably written). During this live debut of "PO' BOY" in Grand Rapids the lyrics of the fine studio version were reshuffled quite a bit, as this beautiful song was included in the same setlist as the second of only three 2001 appearances of "EVERY GRAIN OF SAND". The next performance of "PO' BOY" was more of a year later, in Philadelphia, with lyrics much closer to the original; and again "PO' BOY" shared a setlist with a song from "Shot of Love", this time "IN THE SUMMERTIME". Both songs that night were performed by Bob on his piano, which he had just rediscovered. It would be his instrument of choice for quite a while. After this "PO' BOY" was not performed for almost 21 months, before an acoustic version of this gem appeared in Brockton, Massachusetts in August 2004, in the same set as "GOD KNOWS" and "SAVING GRACE". The fourth performance of "PO' BOY" was less than three months later, in Columbus, Ohio, two days after the US election, as part of a brilliant set which also included gems like "DIGNITY", "BLIND WILLIE MCTELL", "EVERY GRAIN OF SAND", and "TRYIN' TO GET TO HEAVEN". Already at the next concert, at Messiah College in Grantham, Pennsylvania, where Bob Dylan also chose to perform "SAVING GRACE", "PO' BOY" appeared again together with "DIGNITY". One week later "PO' BOY" was performed again in consecutive shows, at first in Rochester, in the same set as "DIGNITY" and "STANDING IN THE DOORWAY"; and then in Binghampton, where "PO' BOY" shared a set with gems like "GOD KNOWS", "I SHALL BE RELEASED" and "NOT DARK YET". Six days after that, in Amherst, Massachusetts, during the penultimate show of the year 2004, "PO' BOY" was performed in the same set as "DIGNITY", "EVERY GRAIN OF SAND", and "STANDING IN THE DOORWAY". Sharing a setlist with "I SHALL BE RELEASED" was the first performance of "PO' BOY" in 2005, in New York City, as the penultimate song of the last show of Bob Dylan's spring tour, which included 94 different songs. Almost four years later, in April 2009, Dylan surprised a lucky German audience in Saarbrücken with his first ever European performance of "PO' BOY", during a very fine Sunday show including gems like "GOTTA SERVE SOMEBODY", "THE LEVEE'S GONNA BREAK", "EVERY GRAIN OF SAND", and "I BELIEVE IN YOU". 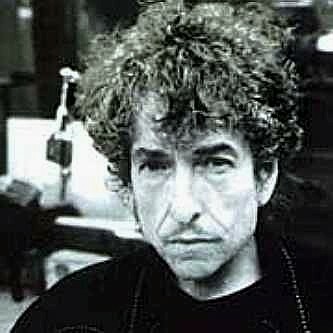 Two days later already "PO' BOY" appeared in the first Paris show, which had started with "CAT'S IN THE WELL"; and three days after that Dylan chose to perform "PO' BOY" during the first of three concerts in Amsterdam, two songs before "WORKINGMAN'S BLUES". The next appearance of "PO' BOY" was eight days later in Florence, again in the same set as "WORKINGMAN'S BLUES". Six days later "PO' BOY" was performed in Sheffield, in a show starting with "CAT'S IN THE WELL" and also featured "THE LEVEE'S GONNA BREAK", and two more times during the following days in London, at first together with "WORKINGMAN'S BLUES" and "WHEN THE DEAL GOES DOWN", then together with "TRYIN' TO GET TO HEAVEN" and "AIN'T TALKIN'". In May 2009, toward the end of the tour, "PO' BOY" was performed two more times in the UK, at first in the Liverpool show, together once more with "THE LEVEE'S GONNA BREAK", and then in Edinburgh, Scotland, in the same set as "WHEN THE DEAL GOES DOWN", "TRYIN' TO GET TO HEAVEN" and "AIN'T TALKIN'". Finally "PO' BOY" appeared during the second concert in Dublin, Ireland, which also featured "BLIND WILLIE MCTELL" and "AIN'T TALKIN'"; and I was extremely glad to be a part of that audience during this awesomely jaw dropping and focused performance of one of my favorite two songs from "Love & Theft" (the other one, "MISSISSIPPI", I had the pleasure to witness already in Jérez in 2008). So during the last month of the 2009 European tour Bob Dylan chose to perform "PO' BOY" ten times, which is more often than all eight US performances from 2001 to 2005 combined. And to be present during one of those European performances of "PO' BOY", especially during a mighty fine one as the Dublin version, was worth the trip alone. During the summer 2009 US tour "PO' BOY" appeared another ten times; and during the fall tour of 2009 "PO' BOY" was performed eight times. The first three appearances of "PO' BOY" in 2010 were in March, in Japan; and the next one was three months later, in France. “There was a man who had two sons. And the younger of them said to his father, ‘Father, give me the share of property that is coming to me.’ And he divided his property between them. Not many days later, the younger son gathered all he had and took a journey into a far country, and there he squandered his property in reckless living. And when he had spent everything, a severe famine arose in that country, and he began to be in need. So he went and hired himself out to one of the citizens of that country, who sent him into his fields to feed pigs. And he was longing to be fed with the pods that the pigs ate, and no one gave him anything. “But when he came to himself, he said, ‘How many of my father's hired servants have more than enough bread, but I perish here with hunger! I will arise and go to my father, and I will say to him, “Father, I have sinned against heaven and before you. I am no longer worthy to be called your son. Treat me as one of your hired servants.”’ And he arose and came to his father. But while he was still a long way off, his father saw him and felt compassion, and ran and embraced him and kissed him. And the son said to him, ‘Father, I have sinned against heaven and before you. I am no longer worthy to be called your son.’ But the father said to his servants, ‘Bring quickly the best robe, and put it on him, and put a ring on his hand, and shoes on his feet. And bring the fattened calf and kill it, and let us eat and celebrate. For this my son was dead, and is alive again; he was lost, and is found.’ And they began to celebrate.